BRUSSELS - Tens-of-thousands of photographs taken by participants in the World Jewish Congress’ #WeRemember campaign to raise awareness about the horrors of the Holocaust and antisemitism are being screened January 24-25 at the North Atlantic Treaty Organization’s (NATO) headquarters in Brussels, via satellite of a live stream taking place for a full four days on the grounds of Auschwitz Birkenau (January 23-27). The photos will be projected simultaneously via Facebook LIVE, YouTube, and Twitter to a global audience. The live stream at Auschwitz brings a viral digital campaign symbolically offline, to the very spot where more than one million Jews were killed at the hands of the Nazis. 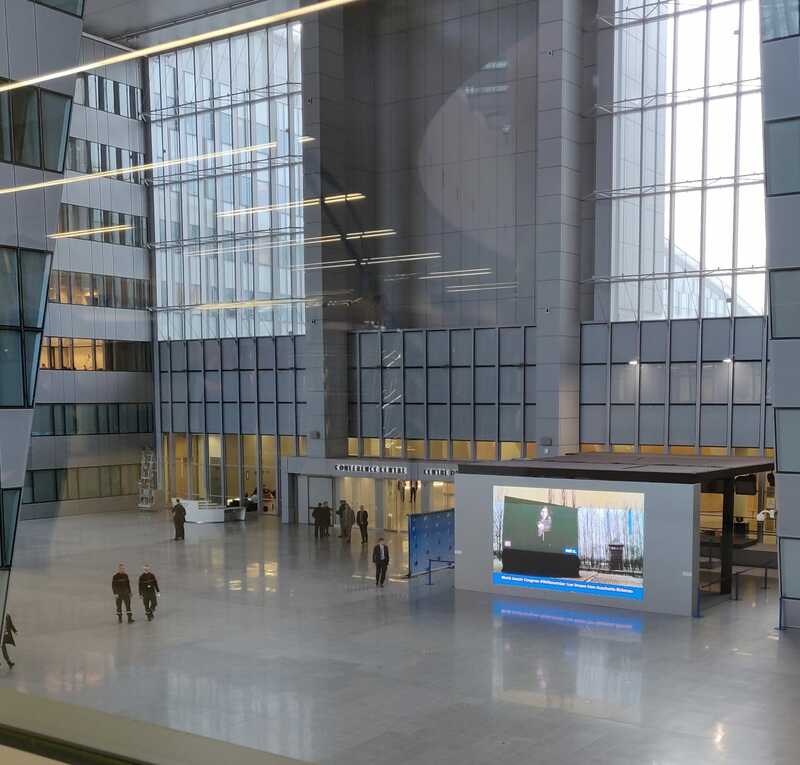 The screening at NATO’s headquarters was made possible thanks to a partnership between the WJC and Italy’s Permanent Mission to NATO. The #WeRemember initiative, now in its third year, urges people around the world to photograph themselves holding a #WeRemember sign and post it to social media, using that hashtag, to spread the message that never again must mean never again. 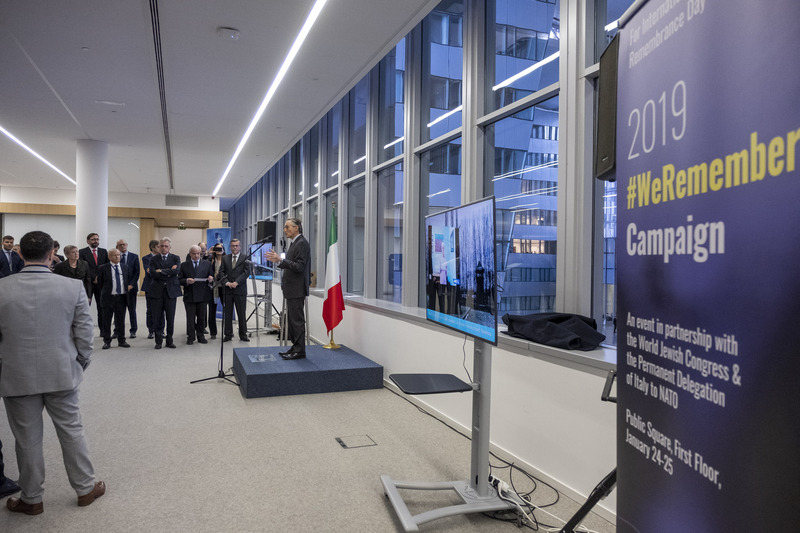 "This year we chose to partner with the WJC #WeRemember campaign as a way of using new technology and social media to reach the widest possible audience," said Bisogniero.